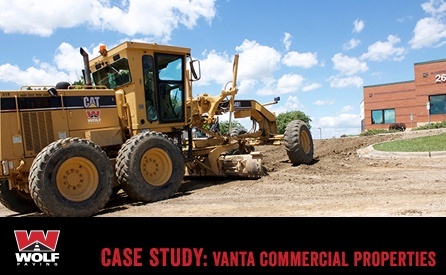 Wolf Paving has completed a variety of asphalt paving projects, both commercial and residential. 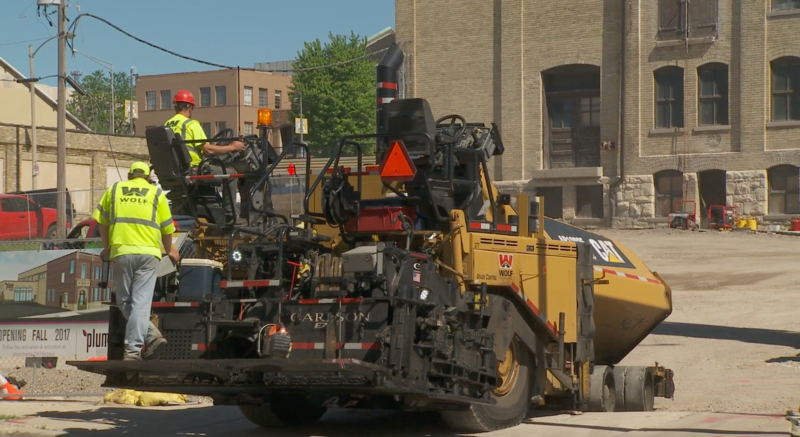 Projects have included repaving driveways, repaving parking lots, and sealcoating driveways. While working on a parking lot for the First Federal Bank of Wisconsin in Waukesha, Wolf got a call from the business next door, Cramer Law Offices. Their asphalt parking lot also needed some love and after watching Wolf work on their neighbor the..
Wolf Paving recently had the honor of helping Plum Media class up their new location at 1418 W. St. Paul in Menomonee Valley by reconstructing and paving a new parking lot. 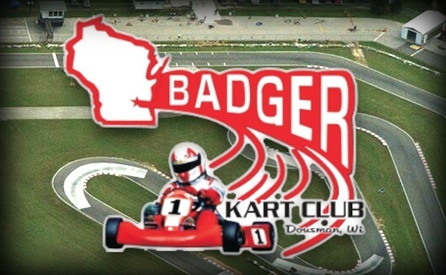 In the fall of 2016, Wolf Paving constructed a track expansion at Badger Raceway in Dousman, Wisconsin. Using custom asphalt mix and precise grading, slope and compaction techniques, the Wolf Paving team completed the track expansion with excellen..
Wolf Paving completed a municipal asphalt pavement road overlay to improve the surface of a deteriorating asphalt roadway. The project requirement was to overlay Meier Road, just off E. Buckeye Road in the town of Blooming Grove. 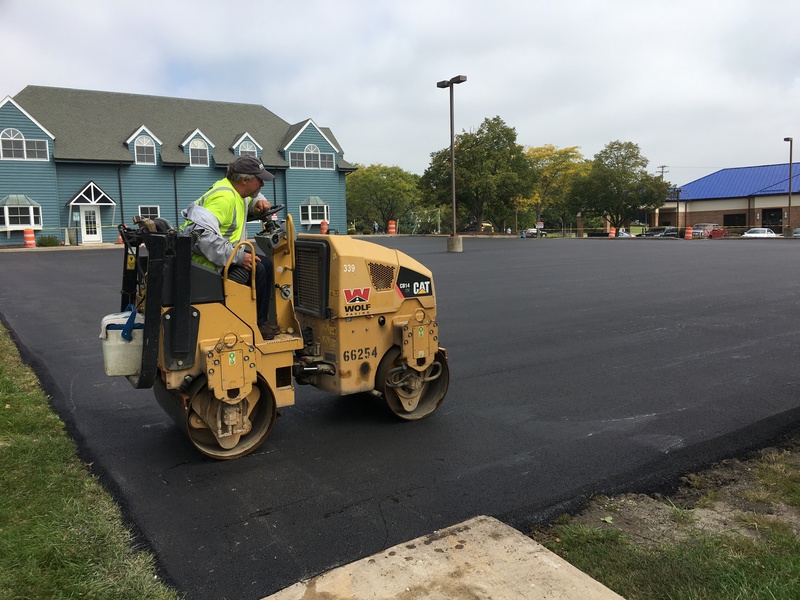 Wolf Paving completed commercial asphalt pavement parking lot removal and installation for three commercially leased buildings in Madison, Wisconsin. Dirk Debbink and his wife take pride in how their home looks. This is evident by the asphalt paving and landscaping project that was recently completed. The house was bought in December of 2010, and went through a really extensive remodeling of th..
Driveways are not always short and straight, especially in rural areas. 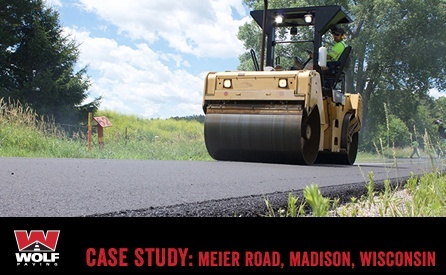 Jeff Schmoeger’s driveway is approximately 800 feet long with a hilly slope, but this didn’t stop Wolf Paving from completing the residential paving project. The project starts at 8:00 a.m. on the dot at Glen Hills Middle School. The semi truck carrying the load of cement powder rolls in. About half an hour later, the cement powder starts getting laid over the p..
“A year ago, we hired Wolf Paving to put the top coat on our driveway. As our warranty period was coming to a close, we had a couple of issues to attend to. Within 16 minutes, I received a response email from Jim May, who happened to be out of town for the week. Within a couple of hours, I received a call from someone saying that one of your crews was finishing up a job , and would be able to be at our home by about 4:00PM that same day. Your men were very professional and informative from start to finish. Geno and Tony were fantastic. Their attention and devotion to detail gave me the confidence of knowing that the job was going to be well done. Geno even called me that evening, after a heavy rain, just to make sure the water was flowing as he intended after spending the day shaping my driveway. From the salesman and office secretary to your finish asphalt crew, all were outstanding and very professional. Be proud of their work. The whole job was done well, and it has been the talk of the neighborhood. Communication, flexibility and a courteous crew. Everyone was great to work with, starting with my salesman.